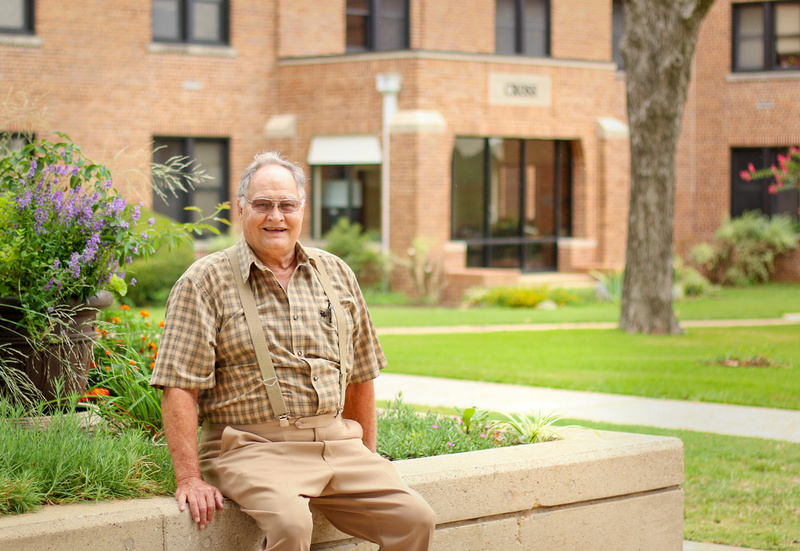 Dr. Larry McNeal arrived at Southern State College quite by accident in 1958, but stayed at the college that became Southern Arkansas University for 50 years. To spend any time conversing with McNeal is to take a walk through decades of SAU history. He relates it in the form of personal stories, most of them funny, all of them illustrative of his passion for reaching students. His strong belief in SAU and the mission of teachers inspired him to become one of the University’s most reliable donors. He is the longest-running donor with 40 consecutive years of giving, and said he believes that alumni who owe their careers to SAU have a responsibility to give back. But that afternoon in 1958, on a lake south of Paris, McNeal had only barely heard of Magnolia. Cross Hall was the athletic dorm in those days. The student athletes lived together and would often go to eat at a downtown boarding house. McNeal graduated from Southern State in 1962. By then he had married the homecoming queen, Judy Sessoms, of Mount Holly. Beginning in 1965, McNeal served as health, physical education and recreation teacher and intramural sports director at SAU. McNeal also excelled in badminton; he sponsored the Badminton Club, and helped bring a national tournament to SAU. He received his Ed. D. degree from North Texas State University in Denton, Texas, in 1971. He also served as the academic affairs assistant for more than three years. In that role, “the only students I knew were the ones being suspended.” He missed teaching so badly that he asked the academic vice-president if he could return to the classroom, and he was allowed to do so. “I really enjoyed working with students,” he said. He was also involved in restoring SAU’s accreditation – and saving programs and jobs – when the Arkansas Department of Higher Education found that “inadequate records” had been kept, a ruling that resulted in the University being placed on probation. Gov. Asa Hutchinson has announced major changes in the funding formula for higher education. The proposed Higher Education Productivity Funding Model follows an outcomes-based approach which will place greater emphasis on program completion than the previous formula.